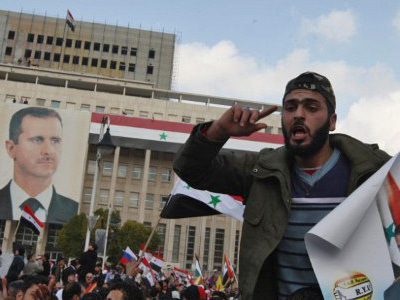 A massive demonstration has shaken the Damascus suburb of Saqba, that has fallen under the control of the Free Syrian Army. RT’s Sara Firth traveled to the rebel-controlled area to explore how the fighters managed to overcome superior forces. ­Clashes between Assad’s armed forces and the Free Syrian Army continue in many parts of the country including the capital. Some Damascus suburbs have seen nearly two dozen killed in the past two days, with buildings heavily shelled by regime loyalists. At least two people have been killed in the suburb of Saqba on Friday. RT’s Sara Firth travelled to this area with other members of the press, while the Arab League observers, who initially led the group, decided to circle around the central part of Damascus. 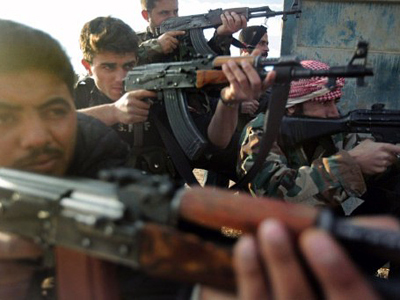 The Free Syrian Army is now in control of the area, Firth says. They took journalists to the center of the suburb, where a massive anti-government demonstration was taking place. A funeral procession was going on at the same time. 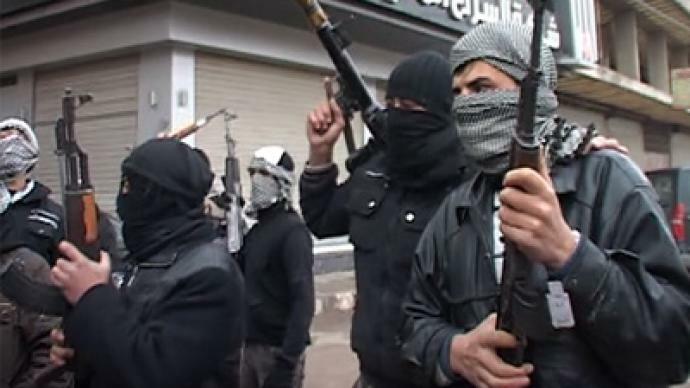 Many of the Free Syrian Army members are in fact defectors who joined the opposition. While the government security forces rely mostly on heavy weaponry, the Free Syrian Army tends to use light weaponry and guerilla tactics, which has allowed them to capture Saqba and other areas, Sara Firth said after talking with some of the rebels. In many parts of the county it is not clear who is actually in control. The situation is certainly very dangerous for civilians, Firth says. 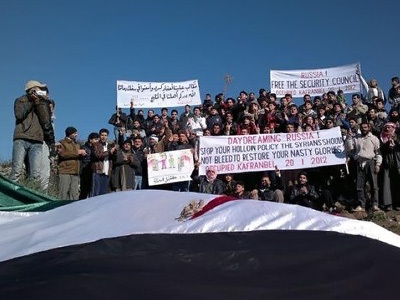 Meanwhile, activists say that at least 30 people have been killed during the last day of mortar and machine-gun attacks in the city of Homs, besieged by the Syrian Army. The report, however, couldn't be independently verified on the ground. 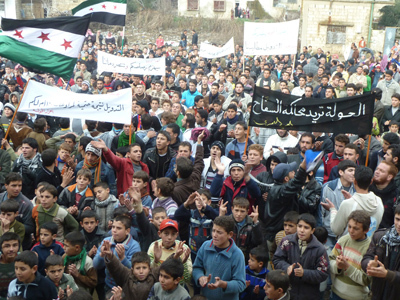 As the situation is deteriorating, the UN has stopped updating the death toll for the Syrian uprising. According to the UN human rights chief, Navi Pillay, it is too hard to get credible information about the situation on the ground. "Some areas are totally closed such as parts of Homs, so we are unable to update that figure, but in my view 5,000 and more is a huge figure and should really shock the international community into taking action," Pillay said as cited by AFP. Since the Arab League monitors arrived in Syria, at least 400 people have been killed, according to UN estimates. Earlier this week, Saudi Arabia and its five partners in the Gulf Cooperation Council (GCC) pulled out their 55 representatives from the observer mission, leaving only 110 members to continue their work in Syria.